We built 3 types of homes at Trinity, the primary difference being the width of the homes. 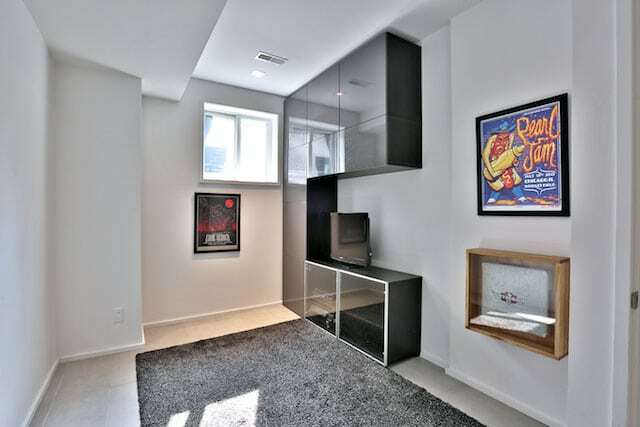 This is the ‘mid-sized’ home, on a 15 foot lot, that is also a semi-detached. 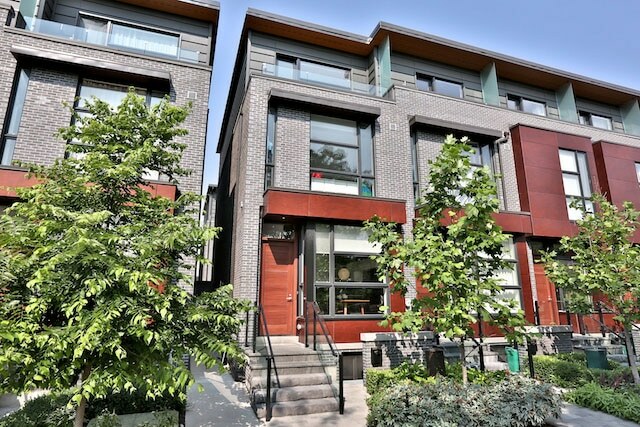 End of row modern townhome, on a 15 foot lot at the much-admired Trinity Bellwoods Townhomes. 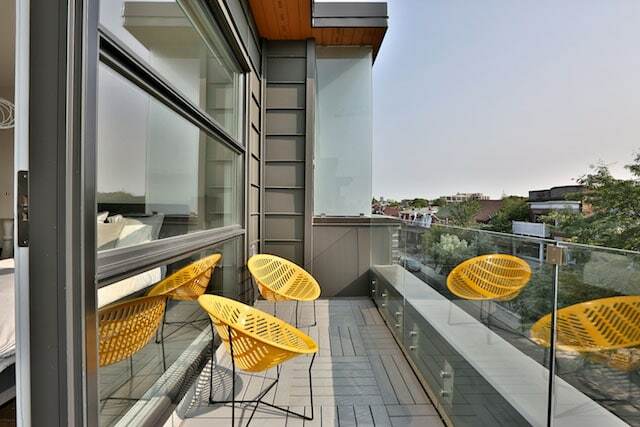 Rarely offered, with almost 2100 square feet of interior living space, plus a rear oversized patio and generous 3rd floor terrace with city view. 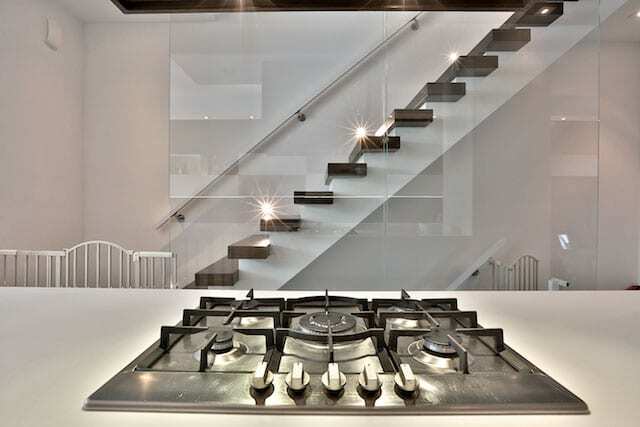 The main floor is notable for it’s open plan, dramatic kitchen and striking glass stair. 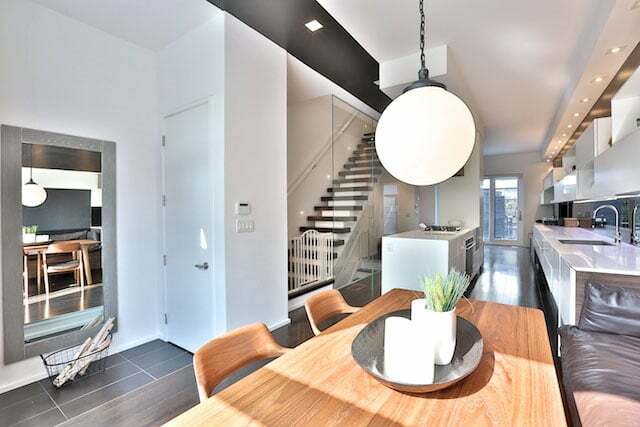 A dining area is situated at the front of the home, with custom built-in bench seating. 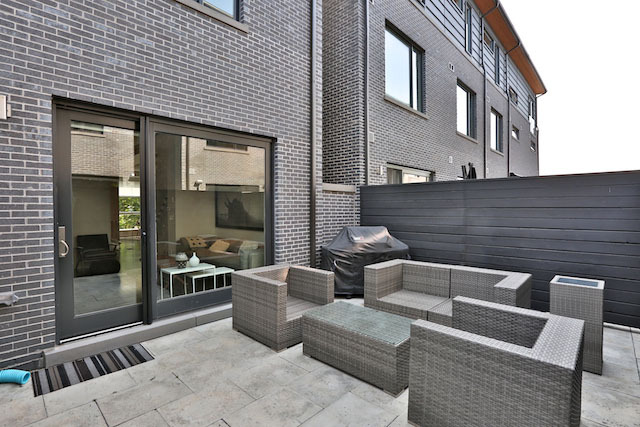 The rear of the home opens onto the home’s back terrace, ideal for entertaining. 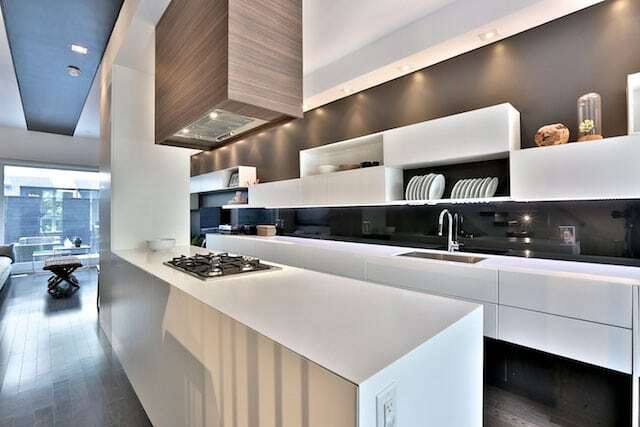 Most striking, is the custom kitchen with tremendous counter space, as well as abundant storage. It is completed with premium appliances, including a gas 5-burner cooktop, convection oven, fully integrated Sub-Zero fridge and integrated dishwasher. Ideal for both the casual and serious cook. 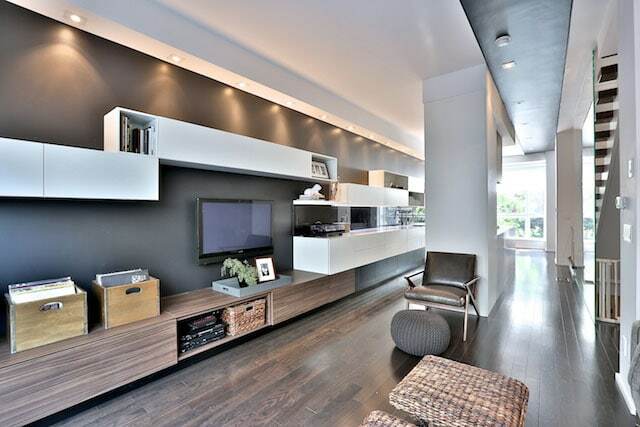 Both of the upper floors are reached by a striking glass staircase, which accentuates the open-concept plan of the home. 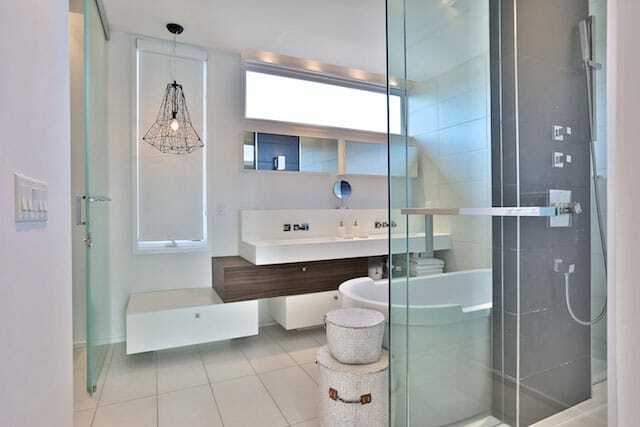 The third level is reserved for the master suite. 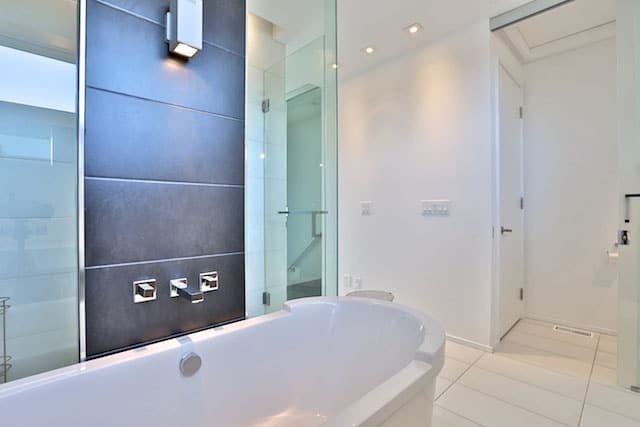 This generous space includes an oversized master bedroom with walk-out to a private terrace. 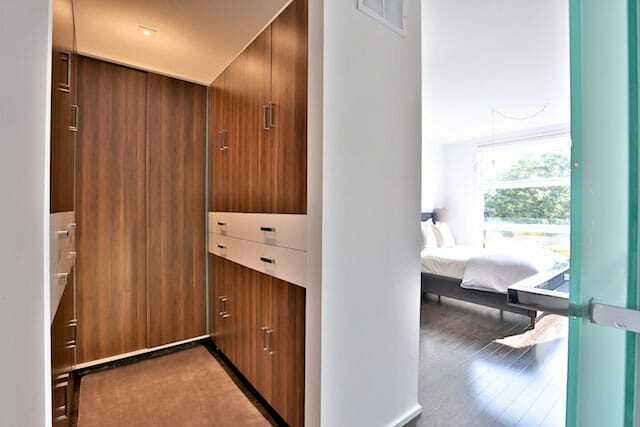 A custom built-in closet is also included. 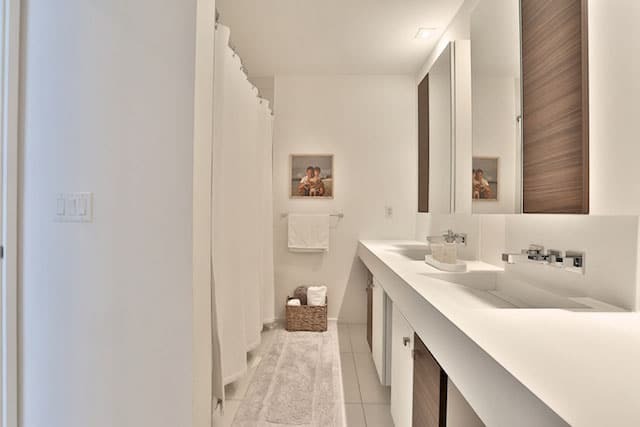 Adjacent is the home’s spa-like master bathroom, with free-standing tub, glass shower, dual custom vanities and separate water closet. 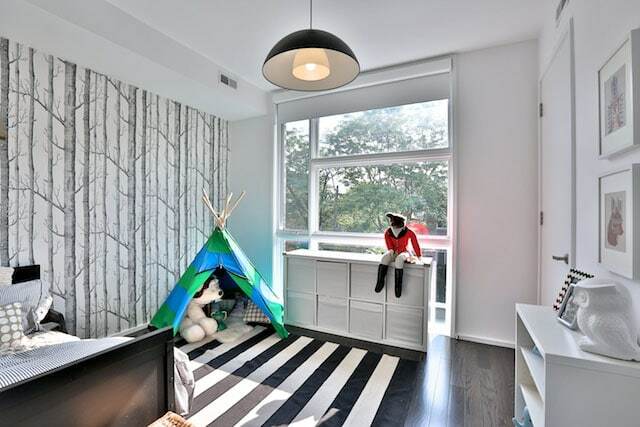 This bright, quiet space is an ideal retreat. One Of Only 7, Semi-Detached Homes Of This Size. 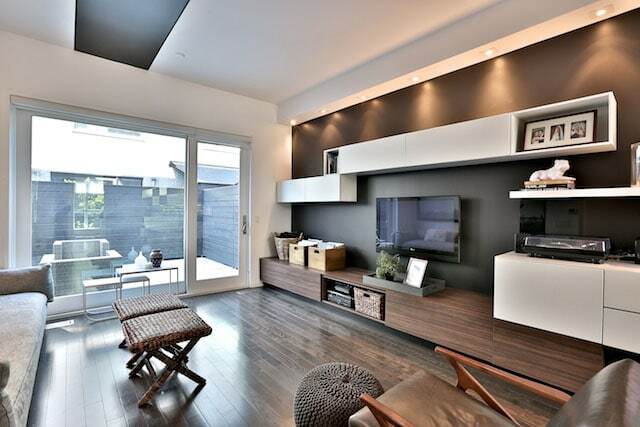 Elegant, stylish, spacious and modern – this home is available for sale.